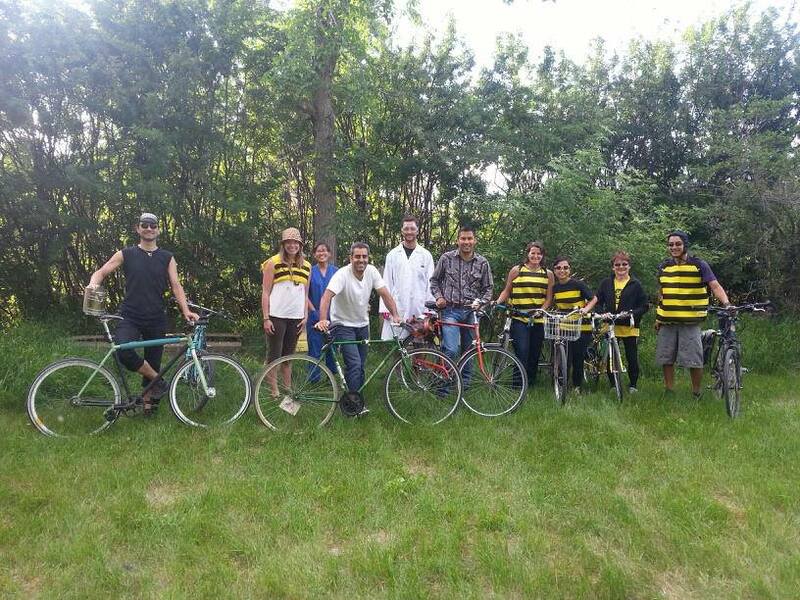 A.B.C is proud to launch our second year of offering the Home2Hive Bicycle Tours of A.B.C's honeybee colonies. This year, we have set up all of our beehives on bicycle routes! With the excellent feedback from the Calgary public, we had over 150 yards made available to us to keep bees in. We chose from these yards the ones that would most easily be kept by bicycle: our goal for 2014 to decrease emissions in our urban beekeeping experience and increase access accessibility to YOU! I would like to register for the Home2Hive Bicycle Tour- Urban Beekeeping Day! Tuesday, July 1, 5:30pm – 8:30pm. I will be wearing a bee costume. Please let me know if you require any further information or payment in advance. See you there Valerie! No more info needed. We would like to register for the Home2Hive Bicycle Tour- Urban Beekeeping Day! Tuesday, July 1, 5:30pm – 8:30pm. We will be wearing a bee costume. We are wondering how easy of a bike ride it is , as we have a new bee rider wanting to attend. Its a SUPER easy bike ride. no hills at all, almost ALL bike path!